Drumgor Primary School has signed up to the Craigavon Borough Council Adopt-A-Street Programme. This means that our pupils will periodically go out and collect litter from the pathways around the perimeter of the school. 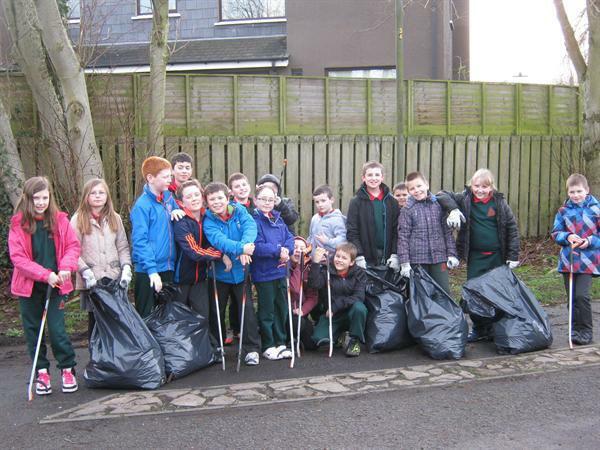 Primary 5/6 were the first class to help clear the litter.